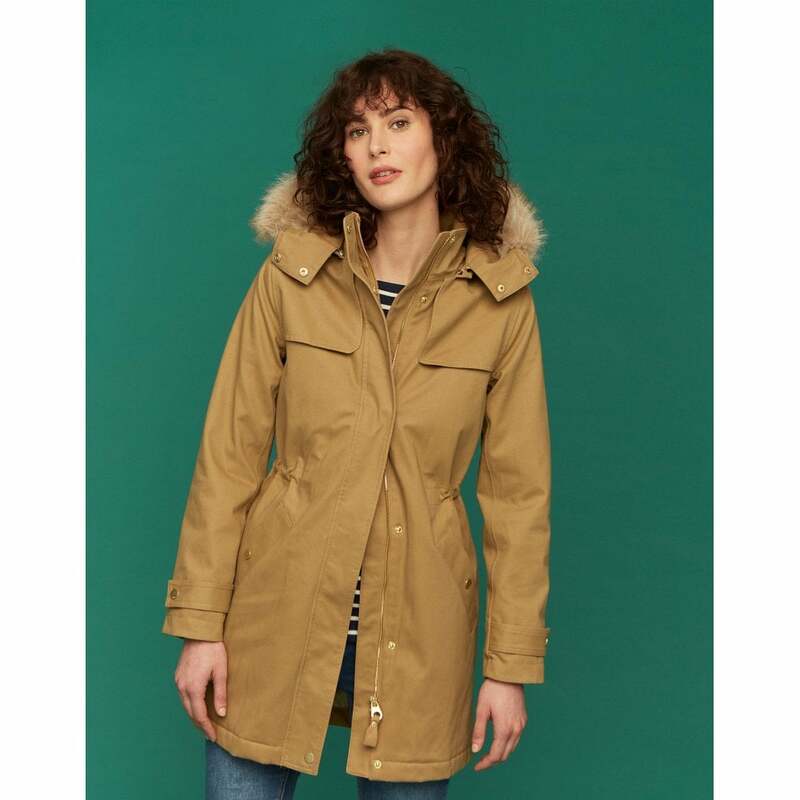 The Aspen fur trimmed parka is a waterproof breathable coat with detachable faux fur trim on the hood and faux fur lined pockets to keep your hands warms in the winter. The internal waist adjuster aids a flattering fit for all shapes. This classic parka style coat is available in two colours this season.